Hi! I am so excited to be here to share the first card I made for The Rubber Cafe, featuring the Take Flight Creative Cafe Kit. 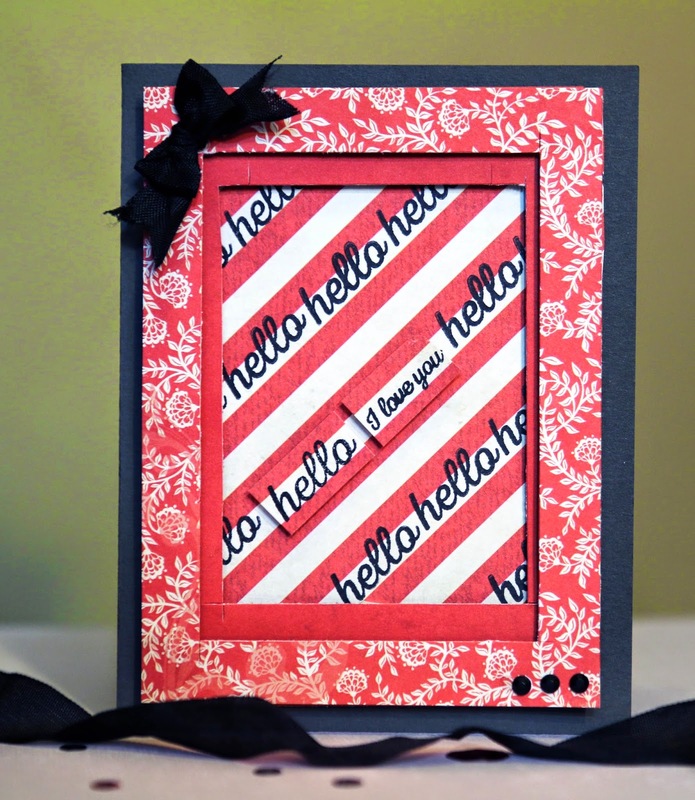 For this card I used the word 'hello' from the Soaring Above stamp set included in the kit, as well as the sentence "I love you" included in the bonus add-on set, Winging It. 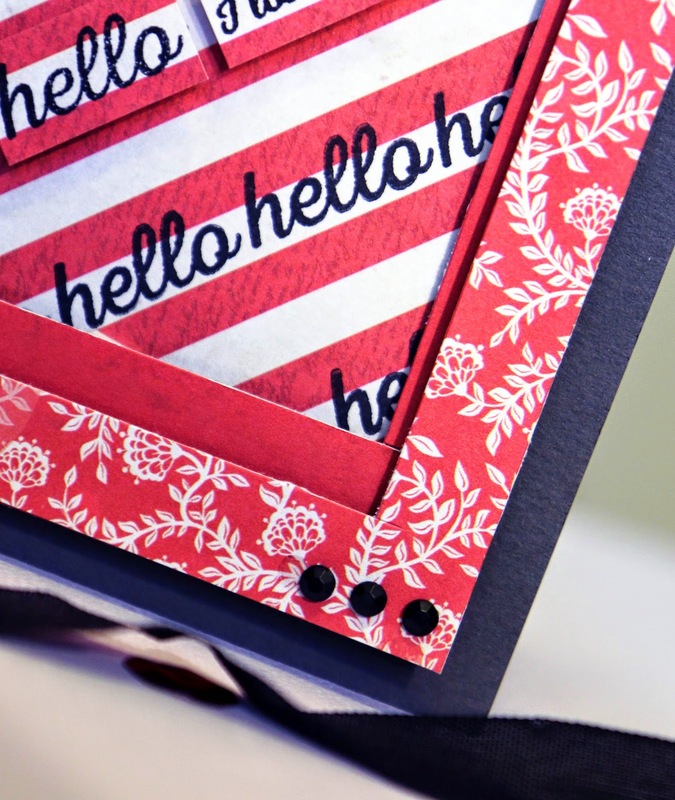 For the base I used the yummy, smokey gray card stock, cut and folded to 5 & 1/2" by 4&1/4". Next, I chose three coordinating pieces of paper from the 6x6 Carta Bella Moments & Memories paper pad (included in the kit). I cut each of these pieces to 5'' by 3 & 3/4". 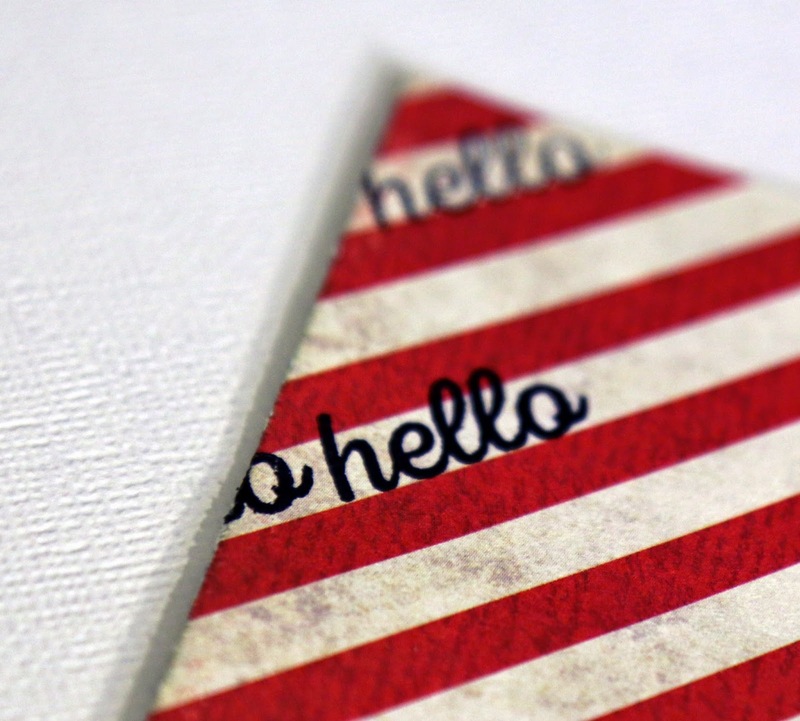 I stamped the 'hello' stamp along the diagonal, on every other white stripe, using Tuxedo Black ink by Momento. I made sure to go off the edges of the page because I like that look! Also, as you can see I'm not super picky about if it's completely straight or perfect. Perfection is so overrated, in my opinion. When I got to the line that I that I knew I wanted to use the "I love you" sentence stamp on, I stamped 'I love you' first, then added the 'hello's on either side. 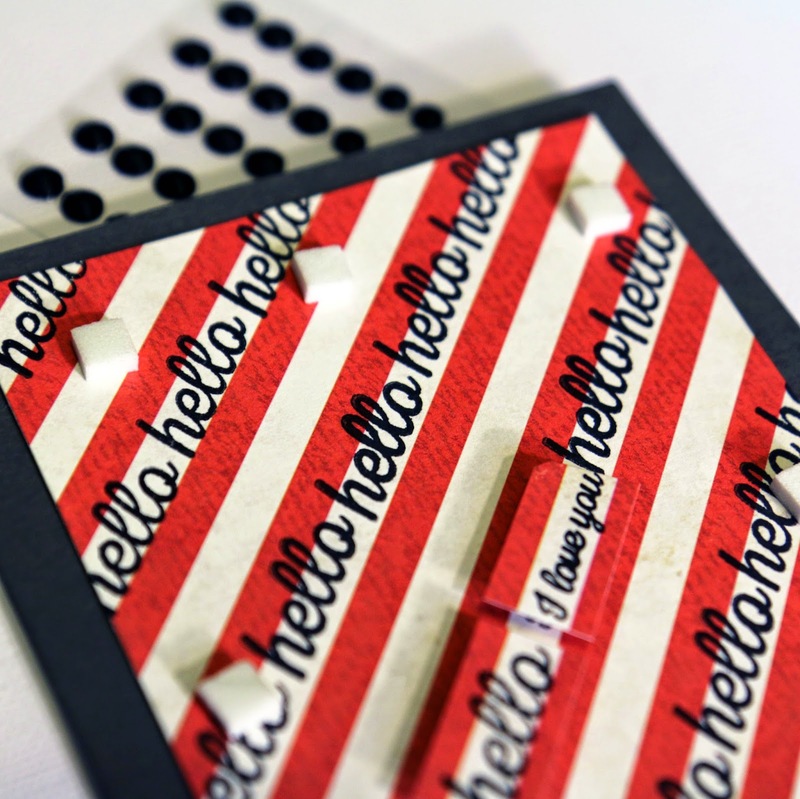 I stamped 'hello' and 'I love you' on some of that same striped paper (some that I had trimmed off), so that I could pop those two words up a bit using 3D foam squares. At this point I also added foam squares around the edge of the paper to prepare it for the 'shadow box' look (and glued the whole thing down on my base). 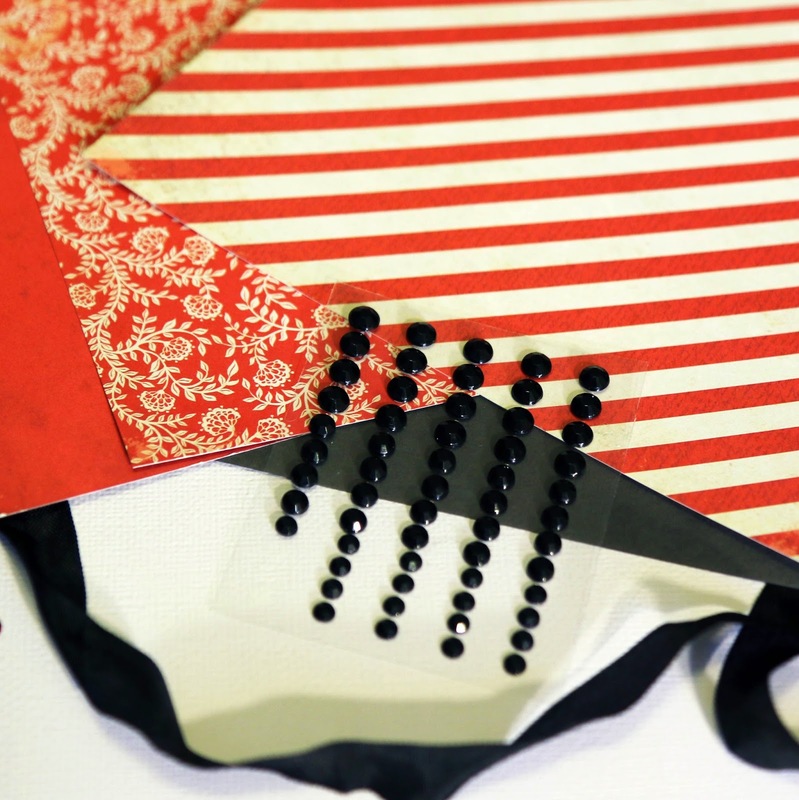 To make the shadow box look, I cut a rectangle out of the center of the two remaining patterned papers. I cut the solid red paper so there was a frame of about 3/4" all the way around after cutting out the middle. I just used my regular trimmer, but you could also use a craft knife. I added that to my base + striped paper. Then, I added more foam squares (like above) to the solid red in preparation for the last layer. I cut the other patterned paper the same way, but left a frame of about a 1/2" all the way around, and then added it to the top! 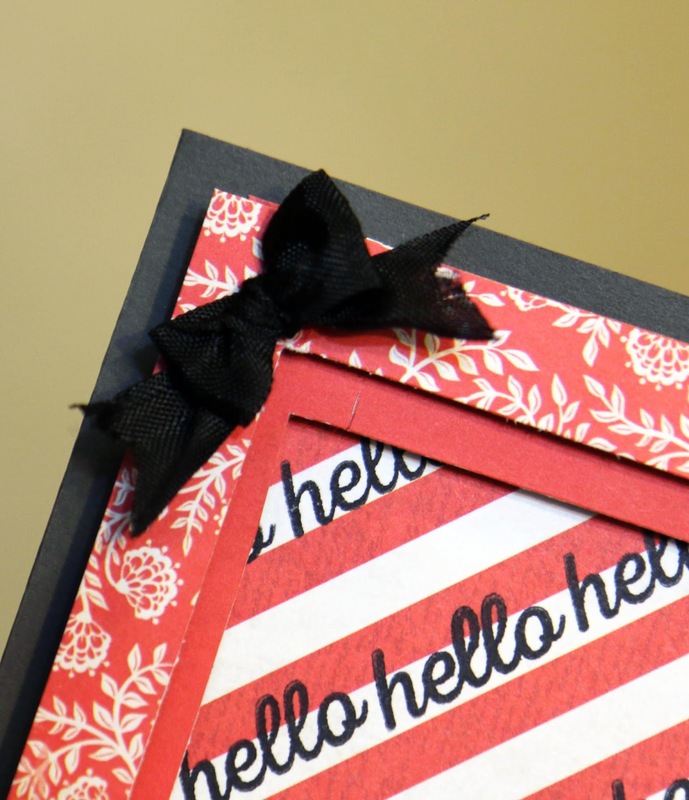 To finish the card off, I added some bling to the bottom right corner, and a bow to the top left corner. Stamps: The Rubber Café – Creative Café kit of the Month ; Take Flight; The 'hello' stamp is in the "Soaring Above" stamp set, the 'I love you' is in the (bonus add-on) "Winging It" stamp set. What a great card! Love red and black! Congratulations on guest designing!